This article is the last installment in a series on the Formation of Malaysia, and is a continuation from The Road to Malaysia: Part 3 – The Cobbold Commission. After World War 2, the British was economically and financially strained to maintain its colonies especially those east of Suez. It would be a matter of time before Britain would have to give up all of its colonies abroad, save for some of the smaller ones. The Cobbold Commission’s report agreed unanimously that a decision in principle should be taken by governments as soon as possible; that the new state should be called Malaysia; that the constitution of the Federation of Malaya should be adapted for Malaysia, instead of drafting a completely new one; that there should be no right to secede from Malaysia after merger. Although the Tunku had asked the Malayan Commissioners to sign the report, he was still apprehensive about what “Malaysia” would do to his political position, and what kind of repercussions “Malaysia” would have on Malaya’s relationship with Indonesia and the Philippines. The Malaysia Agreement was signed on the 9th July 1963. Although not sovereign nor self-governing, the leaders of both North Borneo and Sarawak were invited to sign it. Annexed to the Agreement were a number of Constitutional instruments that included admission to the federation of the three former British dependencies; state constitutions for Sabah (as North Borneo would be called), Sarawak and Singapore; a scheme to compensate officers retiring from government service in North Borneo and Sarawak. A separate legislation ending British jurisdiction in North Borneo, Sarawak and Singapore was enacted at Westminster. It did not provide for the separate independence of the three territories but transferred sovereignty to the new Federation of Malaysia (Commonwealth Relations Office and Commonwealth Office Briefs for Malaysia Bill, 1963 – Dominions Office DO 169/329). Therefore the self-rule given by the British to Sarawak on the 22nd July 1963 and the declaration of independence by Sabah on the 31st July 1963 were not a recognition of the independence of either Sarawak or Sabah, but an independence of the states in adherence to Malaysia (Ghazali Shafie’s Memoir on the Formation of Malaysia, p438). For all intents and purposes, both North Borneo and Sarawak remained as Colonies of Great Britain until the coming into operation of Malaysia. If the appointment of a Chief Minister is to be taken as the point when independence had been achieved, Malaya would have been independent in July of 1955! The late President Wee Kim Wee of Singapore, then a young Straits Times reporter, covered Sabah’s Merdeka Day and filed a report that, from all the obvious evidence, it was a declaration of independence within Malaysia. The Malaysia Agreement referred to North Borneo, Sarawak and Singapore as Colonies. Malaysia Day was supposed to have happened on the 31st August 1963. However, several last minute events forced Malaysia Day to be postponed. 1) a last-minute interference by British officials prevailing upon Iban leaders to demand for the post of Sarawak Governor whilst also keeping the post of Chief Minister, thus reneging on an earlier understanding that for the first two years, the post of either the Chief Minister or Governor should go to a Malay if the other was given to an Iban. The Tunku was livid and decided that Malaysia would happen without Sarawak. All the cabinet ministers of Malaya except Tun Razak agreed with the Tunku. Through Ghazali Shafie, Razak negotiated with the leaders of Sarawak and in the end Abang Haji Openg was the Governor designate, Stephen Kalong Ningkan as the Chief Minister, and Temenggung Jugah as a Federal Minister in-charge of Sarawak Affairs. Had it not been for Razak’s persistence, the Tunku would have had things go his way and Sarawak would not have been in Malaysia. 2) the protest by both the Philippines and Indonesia at the United Nations against the formation of Malaysia. They requested that the UN secretary-general, or his representative, should ‘ascertain’ the extent of support in the Borneo territories for Malaysia, that observers from all three governments should accompany the UN mission, and that the formation of Malaysia should be postponed until the completion of the UN report. Led by Lawrence Michelmore (the American deputy director of the UN Office of Personnel) the mission consisted of Argentinian, Brazilian, Ceylonese, Czech, Ghanaian, Pakistani, Japanese, and Jordanian members of the UN Secretariat. It was accompanied by observers from Indonesia and the Philippines—an arrangement which the British government grudgingly accepted. From 24th August to 4th September they held public hearings in widespread locations and reconvened in Kuching on 5th September, past the 31st August 1963 deadline. This forced Malaya to change the date for Malaysia Day to 16th September 1963. The UN report, which was published on the 14th September, was generally favourable to Malaysia. In his assessment of the mission’s findings, U Thant was in no doubt that ‘a sizeable majority of the peoples’ wished to join Malaysia, although he also rebuked the Malayans for fixing a new Malaysia Day before the mission had completed its work. Even before the survey was finished, however, Indonesia and the Philippines were attempting to discredit it and, on its publication, they rejected the report and refused to be bound by its findings. 3) was of the PAS Government in Kelantan wanting the Malaysia Agreement and Malaysia Act to be declared ‘void and inoperative.’ Kelantan argued that the Act would abolish the Federation of Malaya, thereby violating the Federation of Malaya Agreement of 1957; that the proposed changes needed the consent of each state of Malaya and that this had not been obtained; that the Sultan of Kelantan should have been a party to the Malaysia Agreement in the same way as the Malay rulers had been signatories of the Malaya Agreement of 1957; that constitutional convention called for consultation with the rulers of individual Malay states regarding subsequent changes to the constitution; and that the federal parliament had no power to legislate for Kelantan in this matter. On the 14th September 1963 the Chief Justice ruled that both the Malaysia Agreement and the Malaysia Act were constitutional (Tan Sri Mohamed Suffian bin Hashim, An introduction to the constitution of Malaysia (Kuala Lumpur, 1972) pp 13–14). By 16th September 1963, we are all Malaysians. “Kami dibawa ke beberapa tempat dan kampung yang sudah mendapat pembangunan seperti jalanraya dan sebagainya. Saya sendiri apabila balik ke Sabah telah berkempen menyokong penubuhan Persekutuan Malaysia dengan memberitahu kawan-kawan mengenai pembangunan yang ada di Malaya ketika itu. Katanya satu kejadian lucu ialah apabila ada anggota rombongannya tidur di lantai dalam bilik hotel mereka dan bukan di atas katil yang empuk. “We were taken to several places and villages that have received development such as roads and so on. When I went back to Sabah I campaigned in support of the establishment of the Federation of Malaysia by telling my friends about the existing development in the then Malaya. He said that one funny scene was when there were members of his entourage who slept on the floor in their hotel room and not on their comfortable. “I told them that that was their bed and to sleep on it.”) (Free Malaysia Today – 13th September 2013). Such was how inferior the people of Sabah and Sarawak felt of themselves before Malaysia existed, and it was not that long ago. I believe that there has been progress that has been made in both Sabah and Sarawak although there should be more. When I was working offshore, most of my drilling and marine crew are from Sabah and Sarawak, especially the Ibans. My last Chief Mate is a Kelabit from Bario, while one of our vessels’ Captain is a Kedayan from Limbang. In my opinion, both the Merdeka Day on the 31st August and Malaysia Day on the 16th September are equally important to us. Without the 31st August 1957 event, Malaysia would not have happened and I shudder to think what ill-fortune would have befallen the people of Sabah and Sarawak, especially with China, Indonesia and the Philippines staking a claim in both the states. I also believe that the current Federal Government is doing all it can to fulfill the promises made back in 1963, an uhill task given that previous Prime Ministers, especially a particular former Prime Minister for 22 years, did not do much for the people of Sabah and Sarawak. Let us concentrate on nation-building, and put aside state-nationalism as that brings about nothing beneficial to any of us. And let us not let hatred destroy us. Our forefathers who agreed to form Malaysia did so following the democratic system, and not through violent nor nonsensical demonstrations or coups. 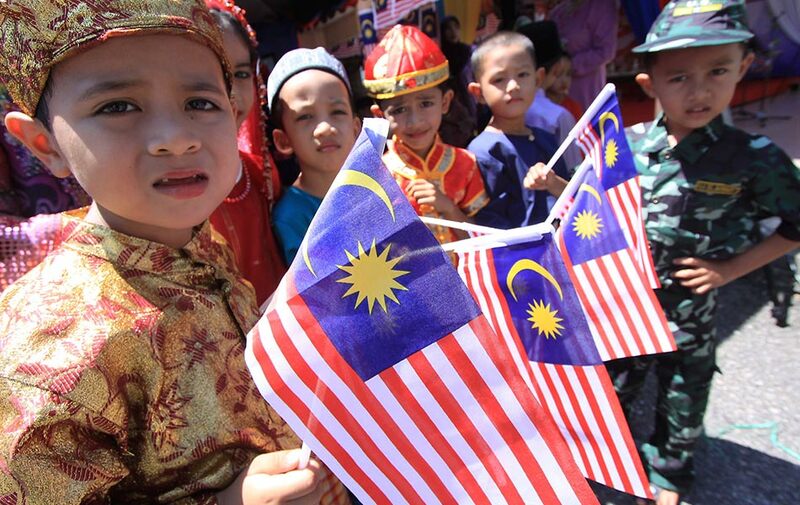 This article is a continuation from The Road to Malaysia: Part 1 – The Malaysia Concept. During the Commonwealth Parliamentary Association of Asia (CPA) meeting in Singapore on the 23rd July 1961, a conference resolution to establish a Malaysia Consultative Committee led by North Borneo’s Donald Stephens and Sarawak United People’s Party’s Yeo Cheng Hoe. Both would become members of the Malaysia Solidarity Consultative Committee and hasten the formation of the Federation of Malaysia. We see today how some foreign plenipotentiaries act in contravention of Article 41(1) and (2) of the Vienna Convention on Diplomatic Relations, 1961 where the diplomat should not interfere with the internal affairs of the Receiving State and all businesses by the mission of the Sending State must be coordinated with the Foreign Ministry or any other relevant ministries of the Receiving State. However, we see today various anti-government NGOs being courted by these foreign missions, even to the extent of having the number one diplomat attending and participating in the programs executed by these NGOs. Things were not much different back in 1961 – especially for Singapore, although Singapore was still a Crown Colony with self-rule. 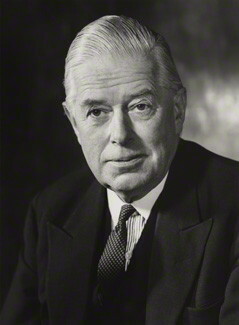 George Douglas Hamilton, the 10th Earl of Selkirk (Lord Selkirk) was often observed by Lee Kwan Yew to be making special efforts to court left-wing politicians especially PAP’s left-wing politician Lim Chin Siong, who are opposed to the Malaysia Concept. This relationship grew stronger and especially after the Hong Lim by-election in April 1961 where an Independent thumped PAP’s candidate by a 4,927 majority, and later the Anson by-election in July 1961 where the Worker’s Party’s David Saul Marshall trounced PAP’s Mahmud Awang by a 546 majority. Because of Lim Chin Siong’s ties with the communist-oriented Anti-British League, the PAP leadership began to be openly challenged by the pro-communist members of the PAP and were now prepared to assume leadership. Tunku’s grouse with PAP is not that it is a pro-communist party, but that it is not anti-communist. For the British, they did not mind if Singapore was governed by a pro-communist government as long as they are allowed to keep their base for use by the South-East Asia Treaty Organisation (SEATO). To the communist, it was a good rallying point for the British to continue keeping Singapore as a colony and a base in order to attract more anti-colonial supporters to Singapore and the Borneo territories, and intensive anti-merger campaign was undertaken by the communists in Singapore. Lee Kwan Yew believed that the British authority in Singapore had encourage the communists in the PAP to revolt against the non-communist leadership in PAP. Kuan Yew coud not take action by imprisoning the communists for fear that he would be branded a British stooge and that would exacerbate the revolt by the communist against the PAP leadership. Merger with the Federation of Malaya was now central in his struggle against the communists. The mood for Malaysia in Jesselton (now Kota Kinabalu) however was very good. When Ghazali Shafie arrived there, Sir William Almond Condrington Goode, the British Governor for North Borneo who was leaving for Sandakan told Ghazali to use his car to get around Jesselton for the Commonwealth Committee meeting. As he got into Goode’s car, Ghazali noticed that the driver had not removed the state pennant from the car and asked the driver to do so, so he (Ghazali) could travel correctly in the car. The driver turned around and replied that because of “Malaysia” he would drive Ghazali with the state pennant flying, and drove off with policemen saluting. The Committee agreed that its aims and objectives should be to collect and collate views and opinions concerning the creation of Malaysia; to disseminate information on the question of Malaysia; to initiate and encourage discussions on Malaysia; and to foster activities that would promote and expedite the realisation of Malaysia. 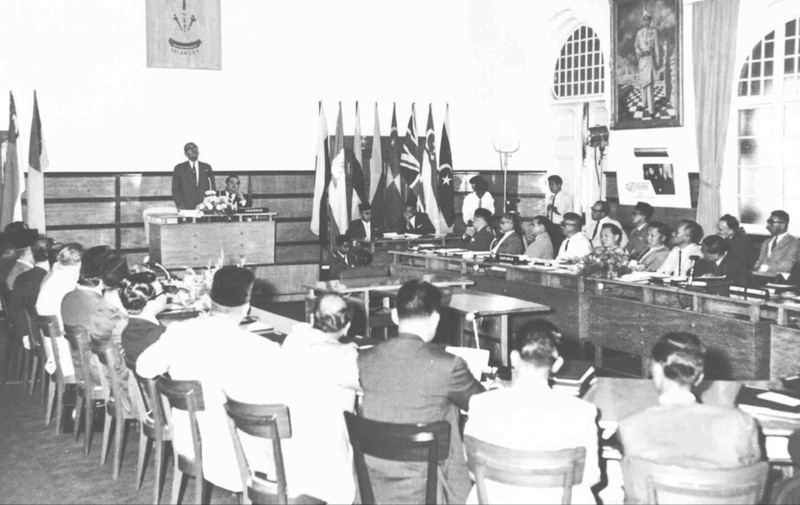 While Donald Stephens chaired the meeting, North Borneo was represented by Datu Mustapha, Singapore by S Rajaratnam, and Sarawak by Yeo Cheng Hoe. All of them agreed with the grand plan. William Goode was not happy with Donald Stephens’s statement on Malaysia, in particular the latter’s target date of 1963 for the formation. Lord Selkirk had prior to this expressed that the people in British Borneo were not ready to govern themselves as they were still headhunters twenty years earlier. Therefore, Selkirk opined that it would be better for the people of British Borneo to come under a Federation of North Borneo, Brunei and Sarawak for five to ten years before they could decide whether or not to merge with Malaya to form the Federation of Malaysia. Sir Alexander Waddle, H.C White and Sir William Goode, the Governors of Sarawak, Brunei and North Borneo respectively made mention on how the idea of Malaysia is being received warmly by the people of the respective states; however they were worried that the Singapore Chinese especially, would swamp them. On the 26th and 27th August 1961, Ghazali Shafie met with Kadazan leaders as well as leaders from the United Kadazan National Organisation (UKNO) to explain to them the Malaysia Concept, and after hearing about the special position accorded to the Malays in the Federation of Malaya Constitution, they all agreed that Malaysia would be the best solution to protect especially the interests of the Kadazans. Later at night on the 27th August 1961, the British District Officer had invited Ghazali for drinks with British, European as well as Chinese leaders. Ghazali had suspected that it was more of an exercise to intimidate him. True enough some asked what was the advantage that the Federation of Malaya would get from Malaysia to which Ghazali replied saying that the question of advantage to Malaya would not arise as Malaya would simply cease to exist with the formation of Malaysia. Another pointed his finger at Ghazali and poked him in the chest asking why is Malaya in a hurry to form Malaysia since the people of British Borneo were not yet ready and to let the states of Borneo form their own Federation first? Ghazali pointed his finger back at the person and reminded him that the Tunku had merely made a mention about the Malaysia Concept once in Singapore and one or two more statements after that, and if the person felt that he was being pressured it was not because Malaya had pressured him but that he had been caught in a new political whirlpool within the Borneo territories and he had little knowledge of and was not keen on adjusting himself to the new order. Back in Kuala Lumpur, Lee Kuan Yew was in absolute hurry for Singapore to be merged with Malaysia. The threat of the communist was real. In a discussion, he agreed with the Tunku that the rights of the Malays in Singapore would take precedence as the Malays in Malaya and Singapore, together with the “sons of the soil” in North Borneo and Sarawak, would form the single largest entity in the new Federation. The Tunku lamented to Kuan Yew that Malaya was very short of effective Chinese leaders. Tan Siew Sin of the MCA was a very sincere and clever man but could not speak any Chinese dialect to be really influential among the Chinese masses. It was no secret then that the Tunku would prefer to have Kuan Yew to assist him in managing the politics among the Chinese in the new Malaysia. Back in North Borneo, trouble was brewing. The British Government had sent Donald Stephens to the UK to attend the Commonwealth Parliamentary Association meeting, while colonial officials in North Borneo worked on to split the Kadazan by saying that Donald Stephens was not a real Kadazan. As a result, UKNO was split into three factions: one following Donald Stephens, another following Abdul Ghani Gilong, while the other following Orang Kaya-Kaya GS Sundang. Datu Mustapha himself was offered two million Ringgit by a wealthy Chinese to form a political party that would espouse the Malaysia Concept but at its own pace, prefering to hang on to the colonial administration. On hearing this, Ghazali advised Mustapha to form a firm relationship with Donald Stephens in order to bring together the natives of North Borneo. Once a strong base was established, the Chinese would have no choice but to capitulate. It was not an easy task. Donald Stephens was from the Kadazandusun community. The Kadazans and Dusuns were naturally biased towards the colonial officials and the white rulers who served the North Borneo Company before them. These white rulers’ laws protected them from pirates and coastal marauders who plundered their homes and treated them with no respect – the Suluks. Since Mustapha was a Suluk, the Kadazans and Dusuns treated him with fear and distrust though not without awe and respect. That was how the British applied the divide et impera policy to keep them apart. On the 27th September 1961, the British High Commissioner to Malaya, Sir Geofroy William Tory, called upon Ghazali Shafie to inform the latter that the Governors of North Borneo and Sarawak reported that the people of North Borneo were thinking along the thoughts of the Governors – that is to form a North Borneo Federation instead. When pressed for further explanation, Tory admitted that the Governors were talking in terms of what the Chinese businessmen said. On the 9th October 1961, Donald Stephens, Mustapha and with about thirty people in the North Borneo delegation arrived in Kuala Lumpur at the invitation of the Tunku who spoke to them both about the need to forget past quarrels and work together for the people of North Borneo. The Tunku also spoke to them about the Chinese community in North Borneo who very much supported the colonial administration there but told them to not be hostile towards the Chinese. After dinner that night, Mustapha spoke to the attendees about how he and Donald Stephens had decided to form a political movement that would devote itself towards the independence of North Borneo through the Malaysia Concept. He also confessed to have regarded Donald Stephens as a rival for the leadership of the natives, but must now be brothers for the sake of North Borneo and encouraged the other community leaders in the delegation to do the same to one another. Donald Stephens was more emotional. Tears were rolling down his cheeks when he admitted he had not trusted Mustapha before and asked for the latter’s forgiveness. There was a thunderous applause and both Mustapha and Donald Stephens embraced each other and announced to those present that they were now blood brothers and pledged to work together for the well-being of the people through the Malaysia Concept. A North Borneo Chinese by the name of Chan also spoke in support of the Malaysia Concept and thought the Chinese should also form a political party. He, Donald Stephens and Mustapha then held hands together with everyone else and shouted Merdeka Malaysia ten times in keeping with the feng shui of the double ten – it was already the 10th October 1961, and this happened inside the Federal Hotel on Jalan Bukit Bintang. After much deliberation at the second Malaysian Solidarity Consultative Committee meeting in Kuching, as well as some political maneuvering to get the support of Kalong Ningkan and his Sarawak National Party (SNAP) as well as to neutralise the opposition to the PAP within UMNO led by Aziz Ishak, it was decided that an Enquiry Commission, as envisaged by the Tunku and Harold MacMillan, to be appointed to gauge the desirability of the Malaysia Concept among the people of North Borneo and Sarawak. In Part Three, we shall look into the Cobbold Commission’s work and findings, and reaction by our neighbours. “Najib Abdul Razak has done more for Sarawak than all the previous Prime Ministers, including the one who served for 22 years,” said Sarawak Chief Minister, Adenan Satem to a crowd of about 3,000 people at the State Gawai Dayak Dinner in 2015 (Malaysiakini: 4 June 2015). That was what crossed my mind when thinking about sacrifices on the morning of the first day of Aidil Adha. Najib Razak broke previous Prime Ministers’ record for being the PM who has visited Sarawak the most and has brought about promising developments in both Sabah and Sarawak including the toll-free Pan Borneo Highway. What is most important is the capacity building for Bumiputera contractors through the 30 percent participation of Bumiputera contractors in this project. All this had its beginnings more than 50 years ago when both Sabah and Sarawak were the British Colonies of North Borneo and Sarawak. Prior to 1948, there was no country called Malaya but a territory of nine sultanates as British Protectorates and three Straits Settlements as Crown Colonies. Only the Crown Colonies were under direct British rule via the Colonial Office (Seademon Says: The Road to Merdeka – British Malaya, 12th September 2011). The British almost succeeded in implementing a Federation albeit through the shortlived Malayan Union, but that was later replaced with the Federation of Malaya on 1st February 1948. On the 27th July 1955, the Alliance Party had won all but one seat in the Federal Legislative Council elections, and on Sunday, 31st July 1955, the Tunku handed the British High Commissioner his list of cabinet members (six Malays, three Chinese and two Indians) that would still have to be passed to the Rulers for their formal concurrence. This was when the Federation of Malaya gained self rule, a big step towards independence. At this time, there was a planned hegemony over the mainland including Malaya and Singapore, leaving the islands to Sukarno’s Indonesia (Seademon Says: The Road to Merdeka – Persekutuan Tanah China, 6th September 2011). Communism was rearing its ugly head at Malaya, Singapore and Borneo. By June 1959, Singapore had its General Elections and Lee Kwan Yew’s People’s Action Party (PAP) was swept into power. The communist group in Singapore, including those in the PAP, had to lie low for the time being as Kuan Yew had promised the British that he would not allow any subversive elements to conduct their activities. Singapore was keen for a merger with Malaya as that would grant them independence and assure them that the Federal government of Malaya would never allow the communists to exist. By the end of April 1961, the situation in the South East Asia had changed drastically with the Pathet Lao guerrillas had come quite close to Luang Prabang in northern Laos, with the help of the Soviet Union and China. It was then that Ghazali Shafie pressed the Tunku to hasten the “Malaysia Concept” to create a Federation of Malaya, Singapore and the British North Borneo that included the Sultanate of Brunei. 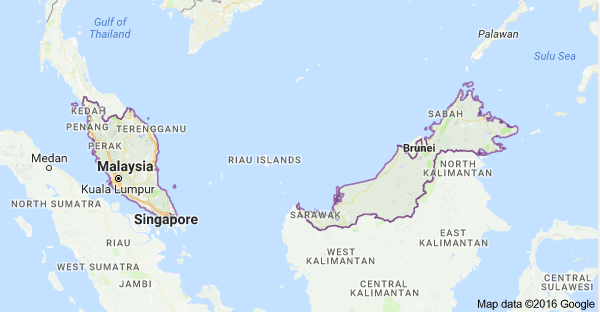 The British then planned for a federation for North Borneo, Brunei and Sarawak, and some British officials in Brunei even encouraged the locals to hate Malayan expatriates there. In fact, a Malayan forest officer, Yakin, was assaulted by Bruneians. These Malayans were there at the request of Sultan Sir Omar Ali Saifuddin III to replace British officials in key posts, making the Bruneians think that the Malayans were stealing their jobs and subtly colonising them. The Yang DiPertuan Agong, the Tunku and Malaysian officials visiting Brunei were subjected to insults and had the word CONGO shouted at them. The truth is no Brunei high officials had ever bothered explaining to the people of Brunei the reason they were there, including Haji Marsal Maun, the Menteri Besar of Brunei. Before ending the visit, the Tunku made a radio broadcast to the people of Brunei telling them that the presence of Malayan officials in Brunei was at the request of His Highness the Sultan of Brunei and it was never Malaya’s intention to colonise. While the Yang DiPertuan Agong left Brunei for Kuala Lumpur, the Tunku continued his tour to Sibu on board the KD Mutiara. She was the first ship that was specifically built for the Royal Malayan Navy. She was also the first RMN vessel to be given the “Kapal DiRaja” title and was the first RMN vessel to be built locally. Their destination was Sarawak, a state that was once a realm of Brunei until 1841 when James Brooke was granted the areas around Kuching and Bau, from Sultan Omar Ali Saifuddin II, and was later given the title Rajah of the territories. The White Rajahs ruled Sarawak until 1946 when after the war Charles Vyner Brooke, the 4th Rajah of Sarawak ceded his interest in Sarawak to the Colonial Office for a sizeable pension for him and his three daughters. Unsure of the legality of the cession, the British Government quickly passed a Bill of Annexation, effectively ending the rule by the White Rajahs. The Ibans were in a dire strait. Sibu was a town that was very Chinese – 95 percent of its 29,630 inhabitants in 1961 were Chinese. In comparison, Sibu had 162,676 inhabitants in 2010 and 65 percent were Chinese. A school that the Tunku had visited just outside of Sibu only had a Primary Two class and was not able to find a teacher compared to a Chinese school nearby. The British were not interested in developing the locals and if the situation was to continue for long, the rate of development for the Iban would be slow compared to the Chinese who had very good schools. Even Temenggung Jugah was illiterate. He had a signatured tattoed to his left arm and would put his left arm on a piece of paper so he could copy that to sign documents! As they left Sibu and the KD Mutiara sailed down the Rajang, it was obvious that Sarawak as a colony would not be left alone by Communist China. Ships from China sailing the Rajang had revolutionary songs blaring over their tannoy system, even in the town of Binatang (now Bintangor). It was obvious that the Chinese were using revolutionary propaganda to stir up anti-colonial feelings amongst Sarawak’s masses, and that the “Malaysia Concept” would be the best way to save Sarawak especially from China. In the next part we shall talk about the consutations with North Borneo, Singapore and how the British tried to stall the formation of Malaysia. 141 years ago Perak became the first sovereign state in the Malay peninsula to come into a treaty with the British for the latter to provide the former with protection, while the former has the “right” to interfere in the internal administration of the state – by the appointment of a Resident or Adviser to the Sultan, on the payroll of the Sultan, and whose “advice” must be asked and “acted upon” in all matters other than the ones affecting the Malay religion and custom (C.D Cowan, 1961; Emily Sadka, 1968; Eunice Thio, 1969). Between 1874 and 1930, similar but not identical treaties were signed with the other Sultans and Head of States. The treaties notwithstanding, the Sultans and Head of States remain the sovereign ruler of their respective sovereign state. De facto however, the British assumed the unstated “right” to administer the states as well with the exception of Kelantan through the Kelantan Treaty of 1910 (signed in Kota Bharu on 22 October 1910) when the government of King George V undertook not to interfere in the “internal administration” of the state or to curtail the “administrative authority” of the Ruler. Although the Rulers had divested much of their independence, both they and their state remained sovereign. Independence is not equal to sovereignty. As a principle of international law, sovereignty denotes, in its purest form, the concept of a ‘supreme authority’ be it an individual or a collective unit and implied power to exercise independence both internationally and domestically. Paradoxically, inherent in this conception of sovereignty is the possibility that the sovereign state could also impose limits on its own independence without suffering a diminution of its inherent sovereignty (L Oppenheim, 1928 pp 135 and 250; Albert Lau, 1991). In other words, the Anglo-Malay treaties in no way compromised the de jure sovereignty of the Malay Rulers. The infamous Mighell v Albert Baker a.k.a Mighell v The Sultan of Johore (1894) which I have also covered in a previous article when the issue of the Ruler’s immunity as a sovereign was raised in an English court, it was ruled that, although the Sultan by treaty had bound himself not to exercise some of the rights of a sovereign ruler, this did not deprive him of his character as an independent sovereign. “Our (Britain’s) position in every State rests solemnly on treaty obligations….We neither have the right nor the desire to vary this system of government or to alter the type of constitution or administration that now obtains.” (W Ormsby-Gore report, 1928). Interesting, however, is that the Colonial Office came close to discussing the deposition of two Sultans namely the Sultan of Johore (1906) and the Sultan of Terengganu (1919). In the case of the Sultan of Johore, the Colonial Office was told that unless Sultan Ibrahim of Johore complied with His Majesty’s Government’s wishes, he must “retire from the business altogether.” In 1914, Sultan Ibrahim was brought to task again for allowing conditions in Johore to deteriorate “to that which called for decided action in 1906” and warned that, unless the administration improved, “the only alternative is his removal from the State.” In 1919, Malayan officials, increasingly piqued by the obstructive nature of Sultan Muhammed of Terengganu, similarly recommended that “sufficient pressure” should be put on him to “compel his resignation.” (Minute by Lucas, 30 March 1906 CO 273/324 no. 10619; Young to Harcourt, 19 March 1914, CO 273/406 no. 13282; and report by J. Humphreys, 3 December 1919, CO 537/797 no. 5002). Having said that, it frustrated the British that they had no jurisdiction whatsoever by virtue of the treaties signed, and a movement was initiated by Edward Gent, to change all that. Among the thorny problems of pre-WW2 Malay States is the question of the Chinese immigrants brought in by the British. In the Strait Settlements of Penang, Melaka and Singapore, they could be given the status of British Protected Persons. In both the Federated Malay States (FMS) and the Unfederated Malay States (UMS) the British have no jurisdiction to apply the same rule to them, nor are they citizens of their respective host state. As far as the Malay Rulers were concerned, only the Muslim Malays are their subjects, not those who are alien, non-native and are non-Muslims. The British tried to convince the Rulers and also by asking the Chinese to pledge loyalty to the Rulers. However, the Chinese were disinclined to accept the Malay Rulers as theirs. The problem arose when in 1929 the Chinese government passed the Chinese Nationality Law stating that all persons of the Chinese race, wherever born, were considered as subjects of China. As such, the Chinese government could intervene in cases where the Chinese are not being fairly treated. In 1911, the Malays made up 53% of the population. By 1931, they were already outnumbered and in 1941 formed only 41% of the population. The Chinese community was at 43%, displacing the Malays as the dominant racial group. The Malays were in a disadvantageous position and this proved explosive in 1946 during the Bekor tragedy. The Malays remained as the minority until 1970. The only solution out of this is for the Chinese in the Malay states to be declared as British Protected Persons, but such move is against the treaties. To put this into effect, Malaya has to come under a federation or a union where power is central, and the Anglo-Malay Treaties be reviewed and replaced by a new one. Following the Fall of Singapore on 15 February 1942, the British saw that it was no longer possible to return to the pre-war system as they had failed to provide the Malay states the protection from the Japanese. Edward Gent saw this as an opportunity to streamline all the Malay States and the Strait Settlements excluding Singapore under one administration to be based in Kuala Lumpur. A month after the Fall of Singapore, he set up a team to quickly work out a solution and framework even though it was still not known then how the war would end. When the war ended, this plan was quickly put in place. Between 8 to 29 September 1945, the Deputy Chief Civil Affairs Officer of Malaya, HC Willan, accompanied by the Senior Civil Affairs Officer for Johor, Colonel MC Hay, made his way to the Pasir Pelangi palace and interviewed the Sultan Ibrahim. 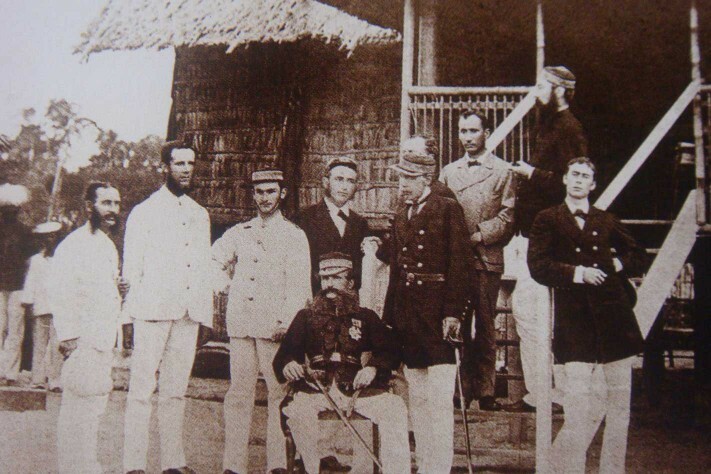 Having studied files and found proof of Sultan Ibrahim collaborating with the Japanese, his task was to assess the Sultan’s reception of the British. Not once, noted Willan, did Sultan Ibrahim hinted that the British had let him down by losing Johor. 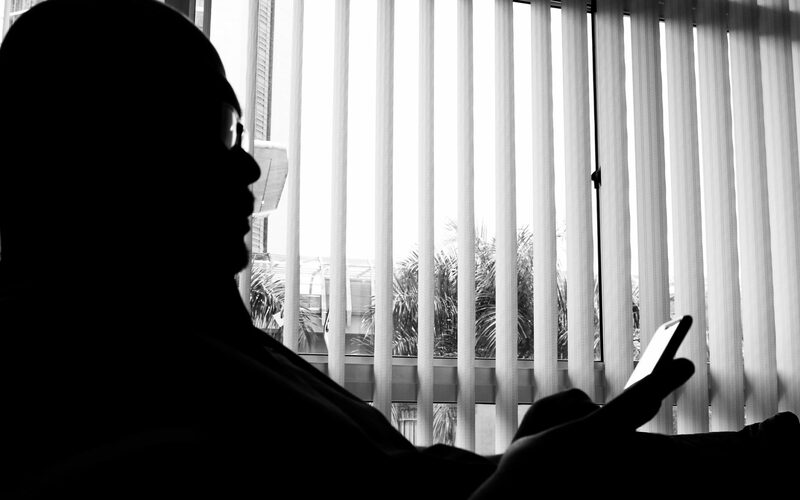 More remarkably, Sultan Ibrahim wrote to Colonel Hay the very next day intimated his willingness to “serve under the British Military Administration.” Willan opined that Johor would sign the new treaty. Of all the Malay Rulers, only the Sultan of Perak proved difficult. Willan proposed that Johor, Selangor, Negeri Sembilan and Pahang should be approached in that order to sign the revised treaty. Once the rest have signed, there would not be any reason for Perak not to sign. When Harold MacMichael arrived in Johor, Sultan Ibrahim offered no resistance although he produced a memorandum containing points relating to the Sultan’s personal prestige and the status of Johor reproduced as Annex I in MacMichael’s report – Albert Lau, 1991). This is the “1946 agreement” made in conjunction with the signing of the Malayan Union agreement between the government of Johor and the British Military Administration that has been played up in the social media of late as the Federated Malay States agreement of 1948 had yet to be formulated. Johor was the first state to submit to being colonised by the British. By the latter half of February 1946, there was more cohesiveness amongst the Rulers in going against the Malayan Union. The Rulers had tactically rallied behind an informal united front presided by the Sultans of Perak and Kedah. In a concerted display of solidarity, the Rulers of Perak, Kedah, Pahang, Selangor and Negeri Sembilan jointly petitioned to defer the implementation of the new Malayan Union constitution until an independent commission had first visited the country and consulted local opinion. (Newboult to Hall, 22 February 1946, CO 537/1548 no. 50823/34 Pt.1). The movement against the Malayan Union was born and so was UMNO. The discussions on the formation of the Federation of Malaya began with the British, the Rulers and UMNO taking part in the discussions. The Anglo-Malay treaties were left relatively intact with more power given to the people to effect some degree of self-governance, the Rulers continued with their ceremonial roles and duties. The Federation of Malaya came into effect on 1 February 1948, replacing the Malayan Union. 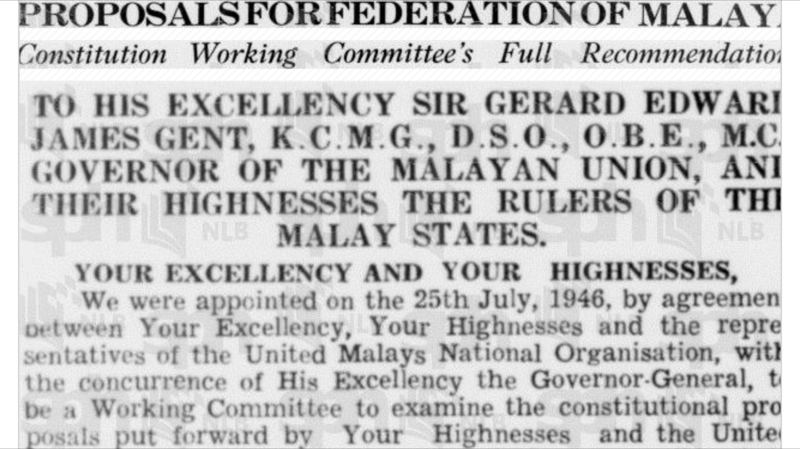 On 31 August 1957, the Federation of Malaya became independent, not from colonisation, but from feudalism. Executive powers that were given to the British have been given to the people of Malaysia to determine how they are to be governed and by whom. All agreements and treaties made between the Rulers and the British since 1874 became void. Professor Datuk Dr Ramlah Adam said all agreements inked during the British colonial period are considered void automatically after Aug 31, 1957. There is no more “state citizenship” but only “federation citizenship,” which makes Malaysians who they are irrespective of where they were born. The Federal Constitution too does not provide for any state to secede from the Federation. 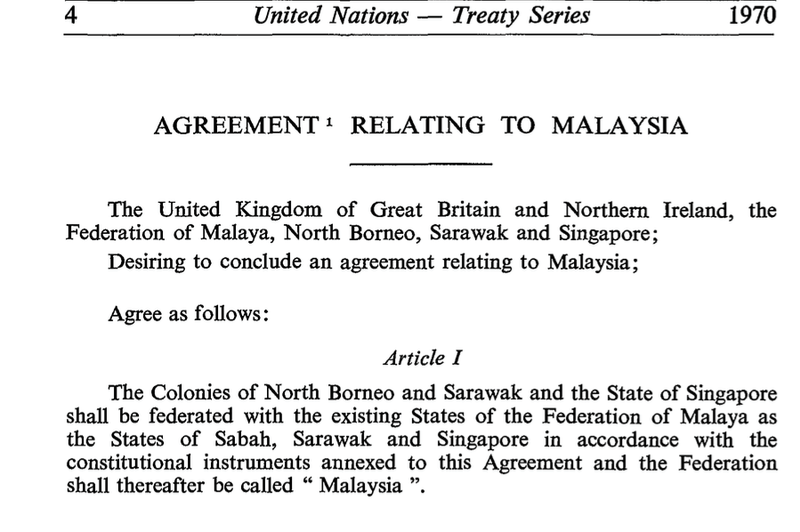 This was further enhanced in Sabah where the Malaysia Agreement of 1963 specifically says the state cannot secede. Unsolicited remarks should not be made and the spirit of history has to be understood in order to understand why are we where we are, and why are we who we are. Such talks only put the sacrifices of our predecessors in vain. The philosopher Jorge Agustín Nicolás Ruiz de Santayana y Borrás or George Santayana once said that those who do not remember the past are condemned to repeat it. The recurrence of history is part of life’s cycle, but always in different forms. Those who do not remember how certain historical lows were handled are bound to make even bigger mistakes. Recently, there was a furor following the statement made by UMNO’s Ismail Sabri , the Agriculture and Agro-Based Industries Minister, asking consumers to boycott greedy Chinese businesses. While it is normal to hear the communal-party-disguised-as-a-non-communal-party DAP lashing out at Ismail Sabri, the call by MCA’s Youth Chief, Chong Sin Woon, for the sacking of Ismail Sabri did not go down well with UMNO and 92 Divisions of the latter rallied behind Ismail asking for Sin Woon to be sacked instead. While I refuse to indulge in a debate over what was said by Ismail Sabri, there is a need for consumers to boycott profiteering businesses who whine about high cost of fuel and pressured the government to allow them to increase the price of their services, but refused to lower prices when the price of fuel has gone down by half. What I am more interested in is the bittersweet alliance between UMNO and MCA, and how history is repeating itself. While the movement for the independence of Malaya had started decades before, there was no cohesion between races. In 1946 when the Malayan Union was formed, the republican-in-nature Partai Kebangsaan Melayu Malaya (PKMM) and the non-Malay Malayan Democratic Union (MDU) were quick to support the formation. The PKMM, a spin-off from the Batavia-leaning KMM of Ibrahim Yaacob, was all for a Malaya not ruled by the Malay Rulers, while the MDU liked the idea of automatic citizenship (read more in Seademon’s The Road To Merdeka: Persekutuan Tanah China ) for the immigrants. On 1st March 1946, more than 40 Malay organisations met up and 41 decided to form the United Malays National Organisation (UMNO) to champion the Malay rights. The Malays were then a minority in his own land, poor, sidelined from economic development, health care and formal education. With the help and encouragement of the then-British High Commissioner, Sir Henry Gurney, the Malayan Chinese Association (MCA) was formed on the 27th February, 1949. Gurney aimed at winning the allegiance of the Chinese community away from the Communist Party of Malaya (CPM) (Colonial Office Record 537/773(1) Memorandum by Henry Gurney, 28th January, 1949). There was apprehension and distrust between the Malays and Chinese. The alienation of the Malays by Chinese mining tycoons and rubber estate owners, followed by the preference of the Japanese of the Malays over the immigrant Chinese, and this in turn followed by retribution against the Malays by Chinese sympathizers of the CPM after the Japanese surrender have had contributed enormously to this animosity between the two. The phrases made bold above by me, still holds true today and became the basis of Ismail Sabri’s main grouse against profiteering businessmen. It was at this meeting that UMNO had agreed to accept non-Malays as associate members. Two years later, in June 1951, Onn went a step further by proposing that UMNO should open its doors to the non-Malays, and that UMNO be renamed the “United Malayan National Organisation.” While the top echelon of the party was supportive of this idea, the grassroot felt it was too radical. The bitterness resulting from the years of resentment and occasional interracial violence were too new for them to accept the non-Malays into their political fold. As a result, Onn left UMNO to form a new party called the Independence of Malaya Party (IMP) despite Gurney’s insistence that the former should remain in UMNO. Onn gambled that UMNO would fall apart and would rally behind him. Instead, UMNO rallied behind its new leader, Tunku Abdul Rahman, who sought to retain and strengthen UMNO’s communal organisational structure. The Tunku also threatened to expel from UMNO any member that joins or had joined the IMP (Straits Times, 18th September, 1951). Thus, the stage is set for two political giants to go against each other for political power, after which we will see whether it was the Tunku or not who played the pivotal role in making the alliance between UMNO and MCA come true.